Holiday accommodation around Horncastle consists of over 30 properties, with everything imaginable, from early Georgian Hotels to the Youth Hostel 6 or 7 miles North East. 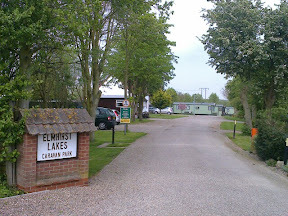 Guest Houses, Cottages and self-catering figure prominently in rural Lincs, with tenting, caravans and chalets equally popular in the warmer months. Staycationing somewhat inland from the Coastal Packages can be quieter and less expensive, with the seaside there as another option to rambling or visiting inland attractions. Laurel Lodge, a pleasant B&B short term stay, at short notice if needs be. 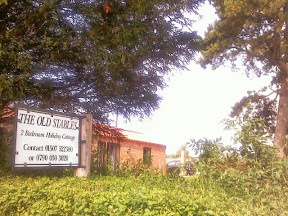 Currently used by companies in the town for staff accommodation during transfers. En-suite bathrooms, shared dining, use of lovely cottage garden with summer house. Tel. :Brenda Williams on 01507527000 or e-mail. Adjacent Mizpah Villa, 1Km North. Admiral Rodney Hotel 18th Century Best Western, with breakfast or dinner inclusives, Golfing breaks, with previous Gym and Fitness vouchers. On the daytime busy A153. Has it's fair share of short stay business reps., and media people (antiques roadshow etc) . Pub with weekend Live Music adjacent to South. Hotel bar reasonably popular with town people out for a meal. North St. The Bull Hotel 16th Century Town Coaching Inn. Competitive family pricing with medieval banquets scheduled in Cromwell's a la carte Restaurant. Live music in hotel at weekends finishing generally by 11pm. Historically was the place of choice through Cromwellian times, with Institute, Prominente and seasonal Balls in Horncastle's Horse Fayre days. On daytime busy A153., in the Bullring. The Red Lion Pub and Good Food. Under new management, previously three B&B rooms. No Accommodation Planned At This Time. 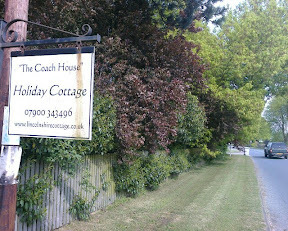 Bullring / High St.
Bank Cottage B&B or Self Catered, minimum of 3 nights for parties. Well looked after terraced cottage, on quiet one way street, actually on the Viking Way footpath which is into open fields within a few hundred yards. Banks St. off the Bullring. The Pottery Well priced Self Catering, but non-smoking and no pets, Lincoln Rd, 0.5km West. Ashby Park Campsite 77 Tourer pitches with fishing lakes. Off the Flood Plain. Fresh and open with Golf Course, where the river Bain valley meets rolling agricultural Wold. 2km North on cycle friendly lane. Grange Farm, Salmonby Refurbished Cottages amongst landscaped enclave surrounded by 400ft Wold., PETS WELCOME, mainly weekly family breaks, within comfortable walk to Salmonby pub & restaurant, or a bit further to Tetford's White Hart. Roman Rd to the North provides an afternoon's walk to Belchford's Bluebell Inn. 8Km NE on No6c bus route. Mill Stream Barn In the same general area, around 10Km north of Horncastle in the Bain valley and shadow of Belmont Mast. A luxury eco friendly place that works out well for a small party. On the stream, so no young children. Short stay letting with alot of includes in the price. Challenging walking or cycling terrain. Brookhouse Farm Repleat with a riding school (see attractions), a quality quiet break in the depth of the Wolds. 7Km North, 7Km West of Louth, at Scamblesby - think Camber, Ramble, Scramble.., where 450ft Wold sits with rivers and brooks and sweeping vistas. Tetford Country Cottages Fishing Lake at the heart of The Wolds, choice of accomodation. White Hart pub restaurant, Roman Trackway to North providing pleasant walking oppurtunities. 7Km NE, on No.6c bus route. Rose Cottage, Woodhall Spa Well, Kirkby on Bain actually, definitely within cycling distance up the Spa (bike) trail. Handy for RAF attractions and Tattershall Castle, the Bardney Limewoods and ruined abbeys. 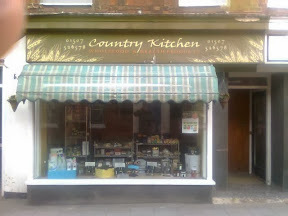 Reviews highlight the breakfast & comfortable surroundings. No smoking, children welcome. 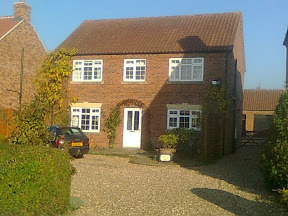 5Km SW.
Wolds-End, Baumber Short stay B&B, or weekly cottage on the Lincoln-Horncastle-Skegness hourly bus route. Olde-worlde ladder stairs, clean & hygienic minimalist decor. Pet welcome. Excellent small base on Lincoln side of Wolds, not liable to being cut-off in winter. 25 miles of scenery. 3Km W of Horncastle. Edlington Hall Another LN9 retreat, none smoking, and slightly more money, but a long list of utilities, Wifi, and cooking welcome pack provided. That's saved you £20 or more and a trip to an unfamiliar supermarket. Designed with family & more grown up kids (ponds in garden) in mind. 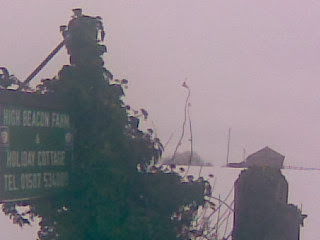 On the Lincoln side of Horncastle & the A158 nearby. Grand views. Bookings for Xmas and odd slots in next year still free. Kingthorpe Manor, nr Wragby Opulence with a touch of free range chickens and glamorous camping in the grounds if the weather's amenable. Website really should be seen... 8Km west, easy cycling territory. Owl Cottage, LN8 In the middle of know-where....at £1,000 / wk it's quite booked for next year, with a swimming pool and hot-tub as amenities. Located LN8, some miles NW of Horncastle at Sotby, NE of Wragby. Disabled Friendly A listing of Lincolnshire rentals that have good adaptations for wheelchair access. SECWHA Skegness East Coast & Wolds Holiday Association for seaside listings. An honourable mention to the Lincs Wolds Info who have a roster of rentals in a larger County wide radius.